What are the effects of separation on a child’s emotions? Children see separation in a different way to their parents. For parents, the separation often does not come out of the blue – there may be a build-up of incidents or feelings that lead to one or both parents coming to the conclusion that the relationship has broken down. The parents often have longer to work through their feelings about the breakdown, and to come to terms with the changes that will happen in their lives. However, children are often shielded by their parents from parental conflict (which is no bad thing), which means that for them a separation may come as a shock and seem to happen in a rushed or hurried way. It is something that is happening to them over which they have no control. 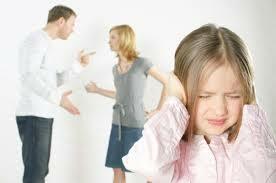 Children often struggle to cope with the separation of their parents. Separation affects all children, whether toddlers, teenagers, or adults. There are a number of steps parents can take to try and help their children deal with the changes in their lives. If possible, children can be helped by their parents presenting a united front – telling them together about changes in arrangements and what is going to happen. This can help children feel that they need not ‘take sides’, and that both of their parents are still going to be a part of their lives and love them very much. Be clear that what has happened has not been because of them or anything that they have done, but a decision made between their parents. Children are of course individuals, and each child will be able to understand situations in different ways. You are the parents to your children and you know them best, you may be able to anticipate questions that each child will ask and prepare answers that you both are happy with. It may be better to talk to your children together as a group or individually, depending on their levels of understanding and the support you think they might need. If one parent is moving out of the home, many children worry about that parent’s wellbeing. Are they okay, are they having a nice dinner, where are they sleeping? Is it nice and warm, do they have a refrigerator, or a television, or a garden shed? Children worry about things that you may not consider so, if possible, take them to see their parent’s new home. Allow them to ask as many questions as they like. If there are plans for them to stay at the new property then talk to them about this, explain the plans, where they will sleep, what they will do. Do not overload children with information, but enable them to have an understanding at an appropriate level for them about what changes are likely to happen. If you do not yet know what will happen, be honest. If the separation is difficult or emotional for you, it is important that you do not discuss those difficulties with your children, but keep them informed. Let them know that you are not sure yet what is happening, but that you and their other parent are trying to work things out so that the future will work for all of you and (if appropriate) that you might go and see people to help you do this. Try not to expect your children to be involved in the decision making process – even older children often prefer to have their parents make decisions about what is best for them. It is extremely important not to put-down the other parent in front of your children. Your children love both of you, and they are closest to you both, more than anyone else in the world. Just because that may have changed for you, it does not mean it will change for them. Allow your children to express how they feel about the changing situation, and accept that their emotions may include anything from tears, anger, pleading, promises of good behaviour, fear and anything from bravado to denial. Children may change from one hour to the next, and may well express completely different emotions to each parent; they will still try to be loyal to both of you. Do not intervene, rather tell your child you understand and you know that it does hurt but you will try to help them so that it hurts less. Be aware that they may need to show in their behaviour how angry or distressed they are. If you can manage to talk to their other parent during this time this will help the children understand that even through you may have separated, you are still, as their parents, working together in your concern for them. Do not be surprised if they talk to their friends or extended family; they may know others who have been through similar experiences and they may be able to talk about things differently with their friends than with you. If they don’t seem to be talking about it at all, or seem to be in denial, reassure the children that whilst it can be difficult to talk about, you are there for them if and when they ever have questions or want to talk. Most important of all, reassure children that you will both go on being their parents. You will always be their parents and the fact that you and your former partner are unable to live together anymore does not in any way alter your feelings for them. They are your children forever and your love for them will always remain the same. If this process is managed with love and care by parents together, children are less likely to be damaged. It is essential that you follow through with the same long term love, care and consideration for your children as parents outside your own relationship as you did when you were partners. With acknowledgements to Doctor Sol Goldstin and Rita Bleiman. Why not speak to one of our solicitors in Plymouth for more advice?